UNINCORPORATED PLAINFIELD, Ill. (WLS) -- A 16-year-old Plainfield South High School student was killed Tuesday in a single-vehicle crash in unincorporated Plainfield in Kendall County. Alyssa Smith, of Plainfield, was a passenger in a vehicle that struck a utility pole at about 5 p.m. near Walker Road and Arbeiter Road and died from her injuries at the hospital, according to Kendall County Sheriff's Office. The driver, another 16-year-old girl, was transported to St. Joseph Hospital in Joliet with minor injuries. The Kendall County Sheriff's Office and Illinois State Police are investigating the cause of the crash. 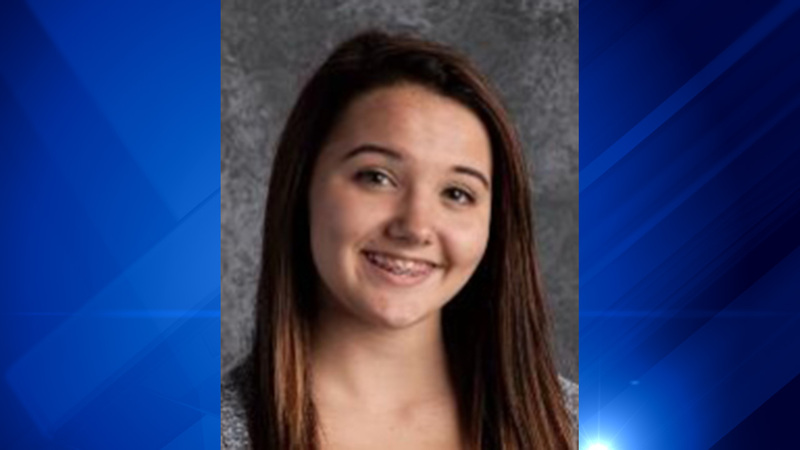 Bob Yanello, principal of Plainfield South High School, said: "She was a very compassionate young lady who volunteered her services in an animal shelter. She worked in the PSHS pre-school and made a positive impact on these young kids. She worked very hard in school, was willing to help others, and always had a smile." Flowers lay at the base of a utility pole in Kendall County which was struck by a vehicle with two 16-year-old girls inside. Alyssa Smith, 16, was killed in the crash.